Rowing machines are great, the take away tip in Turbulence Training Day 9. Home fitness workouts that'll burn fat and sculpt your body in 4 weeks. Welcome to day 9 of Turbulence Training's Buff Dudes and Hot Chicks fat burning workout. 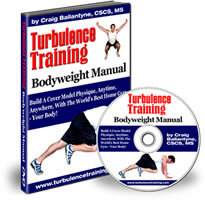 Get Your Turbulence Training Workouts Here - Use Rowing Machines as Part of Your High Intensity Interval Training. "Hello and welcome back, I'm Asad from Better4Fitness.com. Today's Day 9 of Buff Dudes and Hot Chicks workout. Today was a rest and recovery day, which I kinda cheated a little bit I have to be honest. A friend of mine wanted to check out these workouts that I'm doing, so I went to the gym to show them. I just couldn't resist the bikes and the rowing machines specifically. It's something I don't have at home, so whenever I am in the gym (which is rarely), I hit the rowing machines mainly because I love to row. It was something I used to do back in the day! But I didn't go crazy with it. It was a 500 meter row (moderate pace) and a leisurely cycle. So it was still recovery, nothing intense, but yeah I had to confess on that one. Otherwise my body's feeling good, it's not achey at all and I'm looking forward to tomorrow's upper body workout. Physically and psychologically I feel so much better this week. In my personal opinion that's down to getting enough sleep. As well as my body's adapting to the workouts and it's getting stronger. But the main thing is sleep. Last week I was really poor with my sleep, and this week I've been more organised and more focused on getting enough sleep. So that's really helping me. So that's the end of Day 9, it was short, sharp and sweet and I'm looking forward to seeing you tomorrow."